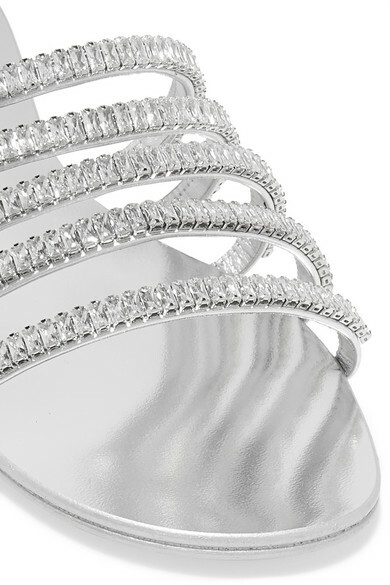 Giuseppe Zanotti's 'Nuvoroll' slides will add a little sparkle to your outfit. Made in Italy from silver leather, they're designed with five slender straps, each embellished with glistening crystals. Take styling cues from the coolest Spring '19 runways and wear them with something a little unexpected, like a satin suit. Shown here with: MATÉRIEL Pants, MATÉRIEL Blazer, Gucci Shoulder bag, Closer By Wwake Earrings.